Translation: HAB-1 needed 105 cubit feet of helium, which generated 2.5kg (5.5lb) neck lift; balloon was expected to ascend for 78 minutes at 5m/s (15ft/s) rate and burst at 26km (85,000ft) altitude. We bought a size “S” tank with 120 cubic feet of Helium. 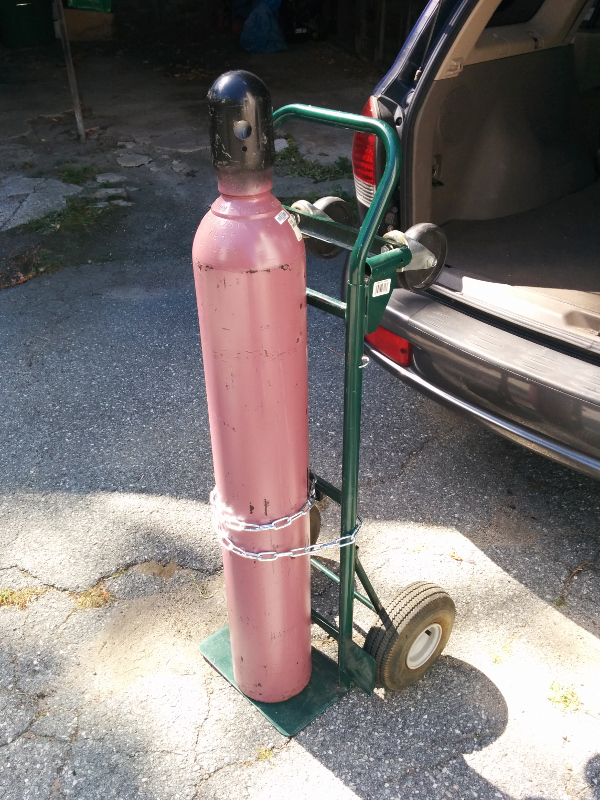 Rent of the cylinder was $50 and Helium itself cost $90.